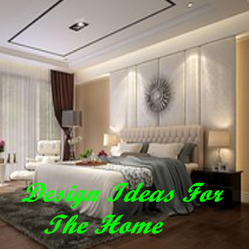 4 design ideas that look good or serve a purpose in your home. I like to furnish my home in a way that is functional as well. Making my home look good is fun, when my design ideas serve a purpose or solve a problem at the same time it makes me proud of myself for thinking of it. My house has some unique areas that are hard to furnish or find a way to make useful and look good at the same time. I try to have form meet function and be useful to me in my daily needs. Decorating your home can sometimes present a challenge that takes creative thinking and ingenuity to look good and be functional as well. 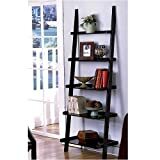 It can be easy to buy a piece of furniture that looks good and put it in place, when you live in this area daily and it has to be functional also it can start to become difficult to decorate. When the area is oddly shaped you have to get creative to decorate it and still have it be useful to you. I like when my house looks good and the things I need to use everyday are there and makes my daily living or cleaning schedule easy as well. My creative side comes out more when I am challenged to solve a problem. I have had some issues with areas in my home that seemed to be oddly shaped or useless that I found creative uses for. I assume others experience this or may be able to use my ideas in their home, I want to share my design ideas that I used to address some of the difficult areas in my home to decorate. I had an area at the end of my couch that I did not know what to use it for, it seamed like useless space until I came across this shelf. 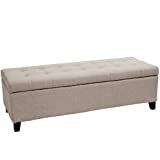 This fit into the area well and blends with my furniture, it looks like part of the house now. This solved the issue of having to see my cat's box, I do not have many places to place her box that she can access easily. I have this by a window and she sits in it and looks out the window at the birds. It solved my problem and improved the quality of her life as well. Her box fits in it with room to store the extra litter, this made cleaning the box easier by having everything in one spot. My taste is modern with a clean look, it blends function and fashion together for a clean and comfortable look. I like to be comfortable and have everything look good and be easy to live in. If you are similar to me you may think some of these ideas can help you or you can use them in your own way to make your home more comfortable. This is another example of form meets function for me, It looks good and stores my reading material with a place for my phone or coffee that is within reach. It fit into an area in my bathroom and gave me three uses in one. I used this behind my front door where I had some room that I did not know what to do with, I purchased this in dark brown to match my decor. I use it to store my shoes in and I can sit on it to put them on and take them off. I often use furniture that was designed for one purpose in other ways to make my home comfortable and useful, you can also think outside the box to solve issues and make your life easier. There is no set rule that you have to use things for what they were made for, often things that are designed for one purpose solve other problems better then anything you can make or buy. Let your creative side flow and the design ideas will come to you, you may be surprised by what you think of. Looking around can be helpful because it give you ideas that you might not think of yourself. iggy, Thank you! Very nice suggestions! In particular, I like the front- and mud-room shoe storage seat and the ladder-like bookshelf. I like to mix function with design. This was one of my first hubs. All things I am a big fan of, make interior designs look good yet find them functional. Warhol's art and thoughts about life are still fresh and relevant today. When combined together, they make a stunning piece of pop art for your home or office.